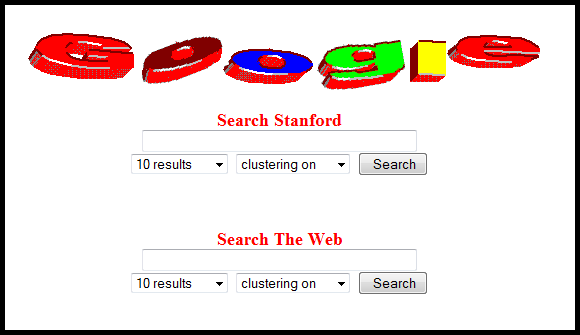 Today marks the 20th birthday of search engine giant Google. 1. Brin and Page first met at Stanford when Page was first enrolled and Brin was requested to show him around. 2. Google was not the company’s original name. It was actually called “Backrub” because of its initial heavy reliance on back-links to validate the popularity of a website it was indexing. In 2002, Yahoo offered $3 billion for the company. That $3 billion offer was rejected. Today Google is worth nearly 300 times that amount! 6. Google’s simplistic homepage was the result of the founder’s lack of knowledge in HTML. The company, known for its quirkiness, has stayed with a simple design ever since. One significant change was made in 2001 when Google centered the content on the page when it previously was aligned to the left. 7. Gmail, the brand’s popular free email service debuted on April 1, 2004. This had many people believing it was initially an April Fool’s Day joke. Google says its Gmail has over 1 billion active accounts. 8. The “I’m Feeling Lucky” button on Google bypasses all the paid rankings, taking you instead to the most popular searches. It is thought this button costs Google over $100 million a year in lost revenue. While there are varying stories on how googol became Google, one popular one is that it was typed in that way by mistake when the original domain name was purchased. 10. Google’s Doodles, which often recognize significant dates and holidays on their home page, got their start in 1998 when Brin and Page used the Burning Man stick-man logo to serve as a message they were out of the office. The pair were attending the Burning Man Festival in Nevada. 11. Google employees in the US get death benefits which guarantee that the surviving spouse will receive 50% of their salary every year for the next decade. 12. Google added 10 new languages to searches in 2010. It can now translate 27 languages including Klingon! 13. In July of 2001, Google images were launched with 250 million different images. 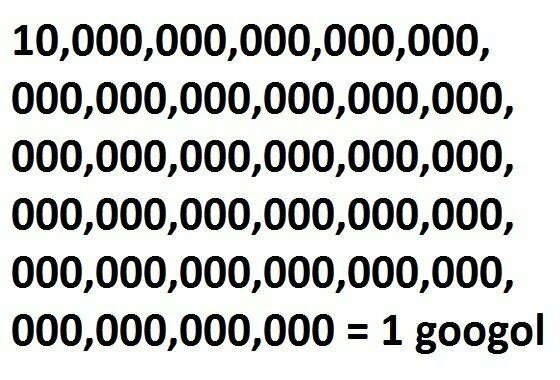 Today, it is estimated there are close to a trillion images available when conducting a Google Image search. 14. The word “Google” was officially recognized as a verb (as in “I am going to google it”) in 2006 when Merriam-Webster and Oxford English Dictionaries both included it. 15. Google Chrome, which also celebrates its 10th birthday today, is the world’s most popular web browser with around 60% market share. 18. Google’s Mountain View headquarters – known as the Googleplex – have long been lauded as the cream of the crop when it comes to tech campuses. It is so large that employees use free bikes t free cars and even Google buses. As part of their green initiative, Google regularly rents goats to mow the lawns! 19. The first ever Google Doodle was a Burning Man stick figure that came out on August 30, 1998. It came about when Larry and Sergey visited the Burning Man Festival in Nevada. It was added to the homepage to let users know they were out of office and couldn’t fix technical issues like a server crash. 20. The colours of the Google logo were chosen for a reason. They used primary colours but instead of placing them in order, the secondary colour letter was used for the “L”. It was another way for Google to express they don’t follow the rules.